I wrote about some really great products, and apps that I've discovered recently. They've been quite helpful!! I wrote about running down a Samford student with my car. Happy ending. Sorta. I tried a new recipe this week and it turned out great! I wrote about the importance of relationships and keeping them up. 8. Birmingham Blogging Academy - "The lovingly prepared meal that is your blog," with the parallels between food and blogging. 9. Magic City Post - An exclusive first look at the lineup for the Preserve Jazz Festival in Hoover. 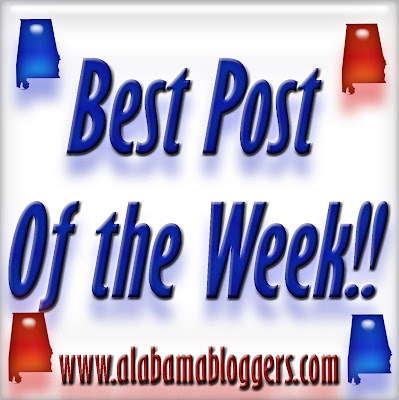 Bham Bride's post is about the average cost of a wedding in Birmingham, AL. My post this (last) week was a thrifty thursday post with the steps I took to make a new wire organizer in the craft room. Offering more events and fundraiser news to encourage folks to support some great organizations in our area! Live in possibilities!